You may have heard the very exciting news that the cult classic tv show The X-Files will be returning with 6 brand new episodes featuring Agents Mulder and Scully together again! Fans of the show, myself included, are very excited for this new season to debut. Of course, the writing process for these new shows hasn’t even begun, much less the filming. This means that we have a very long time to wait. Fear not! I have for you six recommended novels to read while you impatiently pass the time before the return of the X-Files. All of these books deal with unusual circumstances, most of them paranormal in origin, which could potentially be investigated by Mulder and Scully. I picked them for their breathless readability and for the unusual and highly unique subject matter. I also took the liberty of imagining the episode scenario for each book. Enjoy! The master of paranormal himself, Mr. King spun quite the yarn with this wordy but readable tale of time travel. 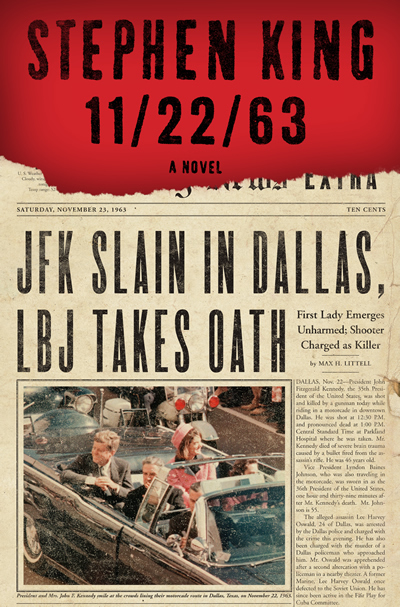 Although it goes on just a little bit long, as almost all King novels do, 11/22/63 follows the story of Jake Epping, a high school English teacher who learns about a time portal in the back of his friend’s diner and finds that he can travel back to 1958. No matter how long he, or anyone, stays in this time period, when they return to their normal time, only two minutes will have elapsed. His friend, having discovered the portal years before, had endeavored to stay in 1958 and prevent the assassination of President John F. Kennedy. Illness forced him to return before the deed was done. He asks Jake to take up his cause, and provides him with a fake ID and cash from the era to get started. Jake agrees and so begins a long, complicated account of his attempts to track down Kennedy’s assassin Lee Harvey Oswald and hopefully prevent the assassination. Of course, messing with time does not come without consequences, some good, some bad, and there are many obstacles along the way. This book was easy and fun to read and will please long time readers of King as well as newcomers to his distinctive style. Episode scenario: Mulder and Scully show up in the small town of Lisbon Falls, Maine, where the story takes place and are greeted with suspicion. They immediately show up at the diner and start searching for the portal…. This gorgeous novel takes place on the fictional island of Thisby, where every year, the townspeople gather to watch the Scorpio races, during which water horses emerge from the ocean and gallop the beach. Brave men attempt to capture and ride these horses as part of the deadly race; many end up dead or maimed in the attempt. Stiefvater’s water horses are based on the Celtic water horse legend, the eich uisce, terrifying but beautiful animals that would lure onlookers to them with their beauty and then ride them into the sea to their watery graves. I get the shivers just thinking about this book. Reading it was such an immersive experience. The descriptions of the water horses are both spine tingling and exhilarating. 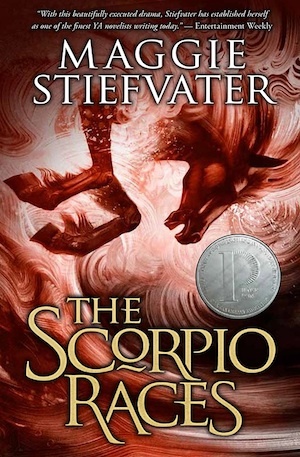 Stiefvater’s evocation of Thisby with its salty landscape and weather beaten people feels authentic, and you will completely accept the idea of this island that is both tortured by and economically dependent on the Scorpio Races. Strangely enough, this story will also appeal to horse lovers, as much of the narrative deals with the care and maintenance of horses – both kinds. X Files connection: strong! Subject: mythical creatures. Episode scenario: Mulder and Scully arrive on the windswept Thisby Island, trench coats flapping in the sea breeze. They walk the beach waiting for the water horses to appear—but none do. Mulder spends his time at a pub in town, while Scully cultivates a shy relationship with a local horse owner who fills her in on the history and significance of the races. (In my dream version of this episode, it would be directed by Peter Jackson). Imagine you woke up every day of your life in a different body. You had a hazy sense of self and you could remember where’d you been the previous day, but you had no idea what the current day held. Each new day meant figuring out where you were and who you had to be until you went to sleep that night and started all over again the next day in a different body. 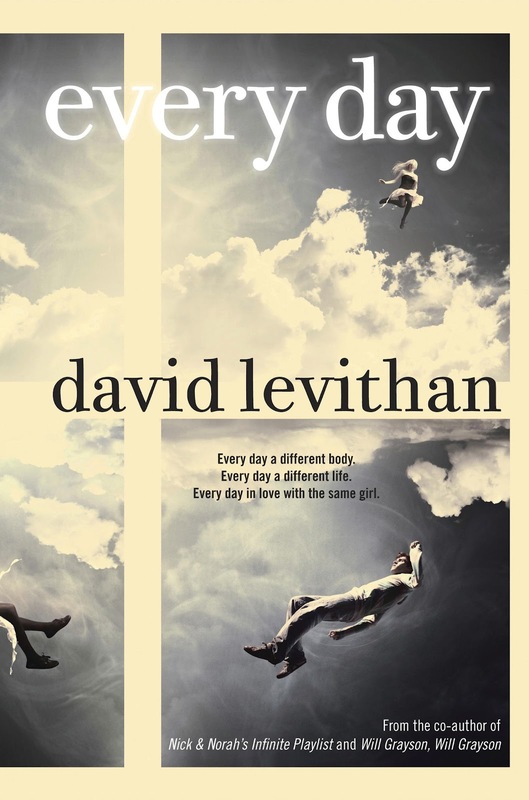 This intriguing scenario is the premise for David Levithan’s excellent book Everyday. Our protagonist has no name and no gender but he/she has feelings and memories. Completely unaware of where he/she came from or what he/she is, the protagonist moves through her life making do, until she meets Rhiannon, the girlfriend of a sullen teenager loser whose body he/she inhabits one day. Although he/she is aware of how her host body/soul usually treats Rhiannon, our protagonist finds him/herself drawn to Rhiannon in a way he/she has never been drawn to another person before. After spending one day with her, the protagonist finds a way to keep visiting and contacting Rhiannon, long after he/she has left the body of Rhiannon’s loser boyfriend. It’s a risky move, one that draws some unwelcome attention, leading the protagonist to realize that he/she may not be the only one of his/her kind. This was one of the most unique reading experiences I have ever had. My helpful husband informed me that it was just like Quantum Leap, but I have never seen Quantum Leap, so I can’t speak to that! However, the premise is so interesting and begs just enough questions to keep you reading without losing your faith in the possibilities the story presents. X Files Connection: Strong! Subjects: mythical, possibly alien being that jumps from body to body. Episode Scenario: I can just see Mulder and Scully trying to track down the protagonist, confronting people in coffee shops and crowded places. “I know it’s you in there!”, etc. This story begins like so many others: A beautiful young woman is found dead in an abandoned warehouse in Manhattan. Her death is ruled a suicide, but investigative journalist Scott McGrath suspects otherwise. 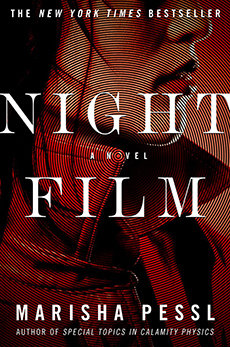 He begins probing her death and becomes enmeshed in the legacy of her father—a famous, reclusive cult filmmaker named Stanislas Cordova—who hasn’t been seen in public in thirty years. Cordova’s films are eerie, psychological thrillers that deeply unsettle viewers. His persona and the story of his life and his family’s life are shrouded in mystery and fear. The more McGrath investigates, the more deeply entangled he becomes until his life starts to resemble one of Cordova’s movies. This book is quite an achievement! It is pure, creepy fun and completely unexpected. I can’t say much more without giving things away, but I will tell you that it has an unexpectedly positive ending. Despite going deep and probing the dark side of human nature, this novel won’t make you feel like jumping off a bridge when it’s over, which is a relief. You will feel like you have just completed a very strange, but worthwhile journey. XFiles Connection: strong! Subjects: unsolved murders, cult heroes. Episode scenario: This story would be perfect for one of those scenarios where Scully is away on business and Mulder takes on the case himself. He will fall in love with the dead girl and dedicate himself to solving her crime. Poor, lovelorn, lonely Mulder. I choose this book with a hint of trepidation. It was not my favorite book, but I feel that it fits in well with this category of recommendations. 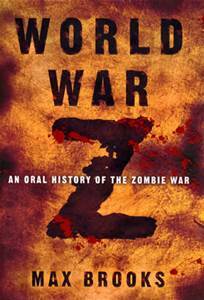 The premise is that the world has been depleted by a fast moving plague that turns people into zombies. The narrative is told through interviews with survivors in various positions. Some tell the story of the plague as it was developing, some tell how they survived in the midst of the plague and others explain how the world tried to put itself together again. It is a mixed bag of stories. Some of the “accounts” are very exciting and horrifying, while others are boring. How would you begin to restore chaos and contain the remaining infected population after something like this happens? Who are the people who would try to profit from this event? Despite its uneven storytelling, World War Z is definitely unique and contains some very riveting and tense storytelling. Although I found some sections slow and confusing, I know many of my fellow friends and readers who loved every second of this. X Files Connection: Strong! Subjects: Zombies, plague, government wrong doing. Episode Scenario: Mulder and Scully survive the outbreak using their brains and practical experience dealing with monsters. The government brings them in to help craft a solution and Mulder has trouble cooperating. Scully mediates, as usual, and perhaps we will even see Agent Skinner. Next Post Fairy Tales: Where to Begin?